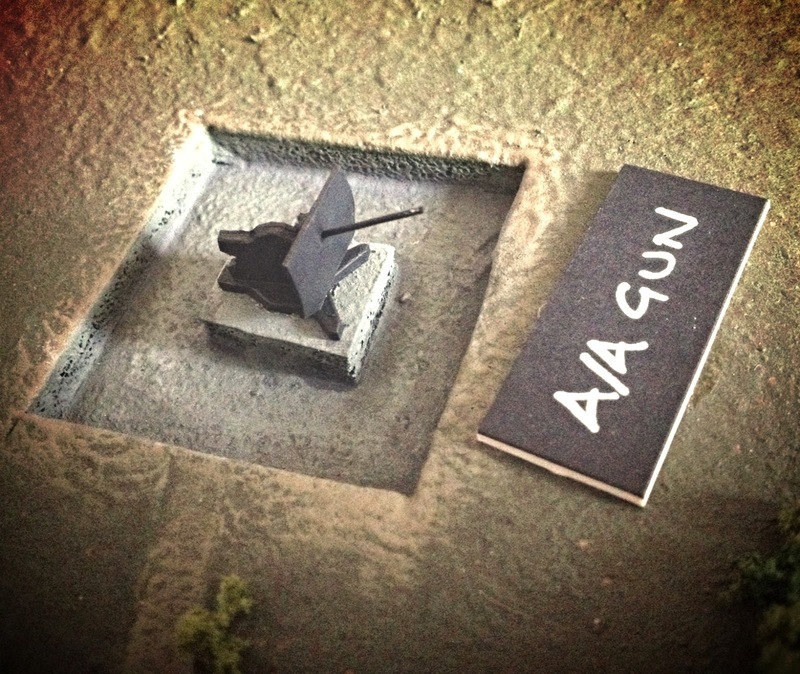 As we're attending the Imperial War Museum's 70th Anniversary D Day Airshow at the weekend, I thought I might tempt you to visit us by giving you a sneak peak of our centrepiece... a 'copy' of a scale briefing model used to illustrate the battery to the assault troops who's job it was to knock out the guns... The show runs from Saturday through to Sunday this weekend, see you all there! 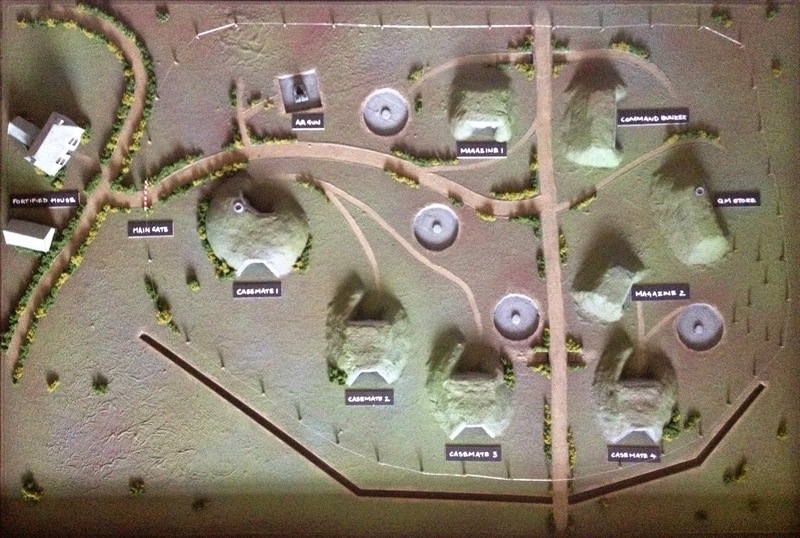 Aerial view of the briefing model showing the four casemates and associated bunkers, roads, bushes, anti-tank ditch (unfinished by 6th June 1944) and barbed wire defences. 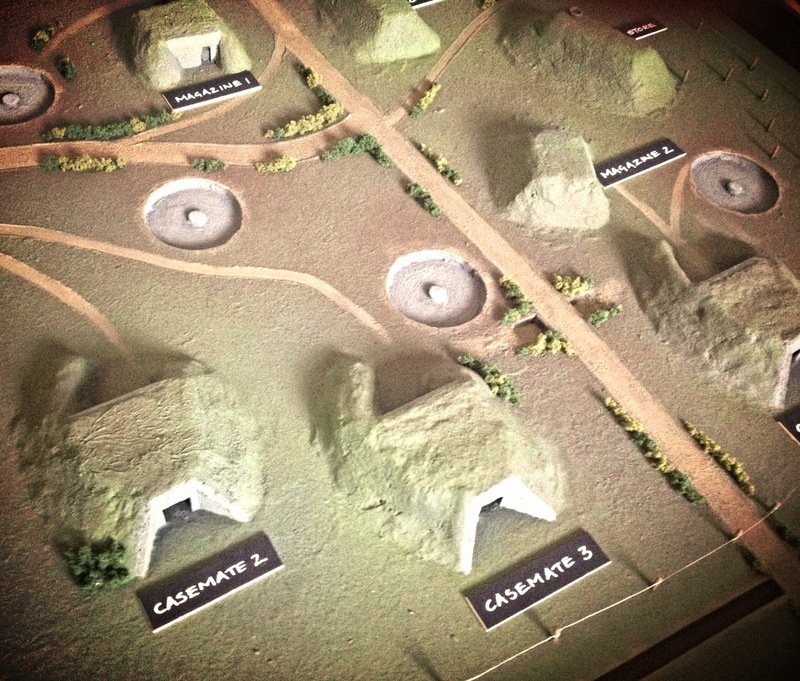 Aerial view of the model showing Casemates 2 and 3 and the original housings for the guns. 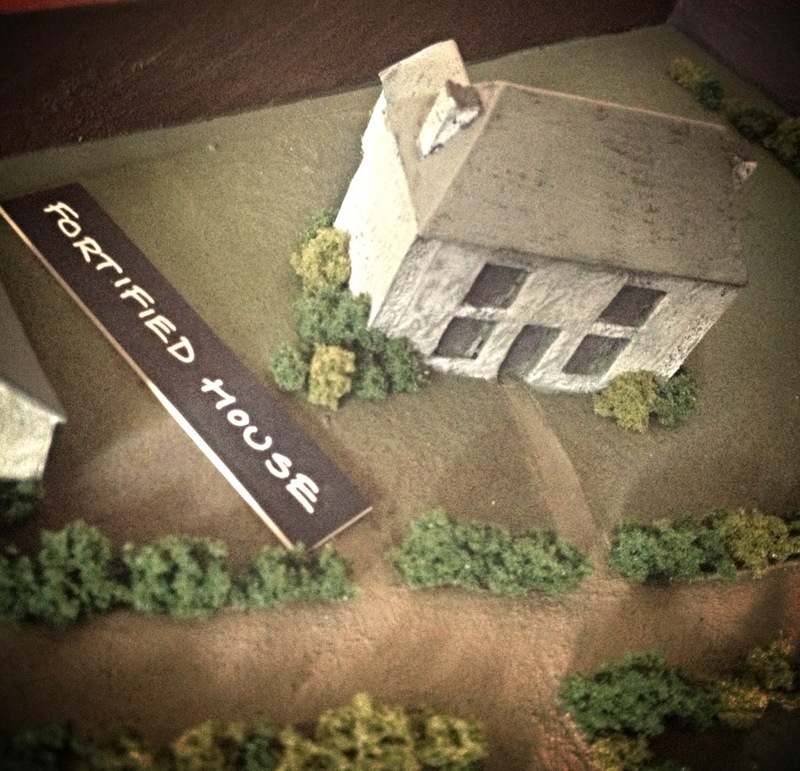 Close up of the fortified house to the N.E. of the battery. Close up of 'Erika' the 20mm Flak 38 Anti Aircraft gun.